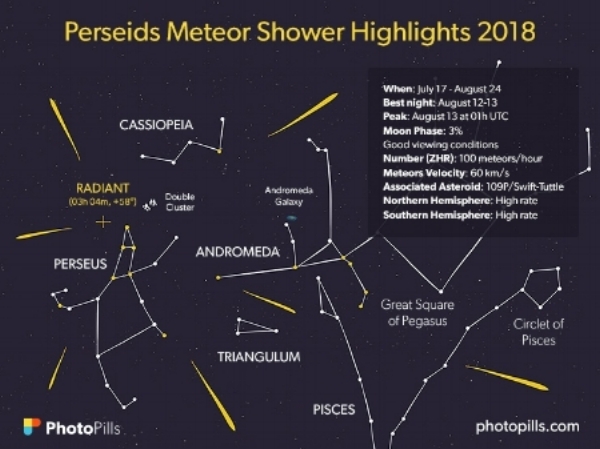 See the Perseids - the best meteor shower in 2018 under the darkest sky of the month! 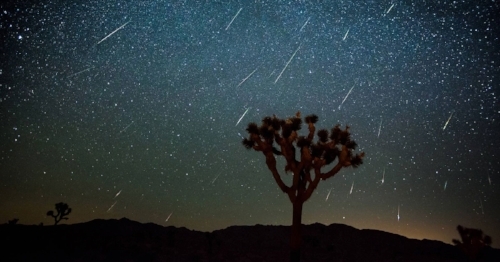 Summer brings one of the brightest meteor showers of the year. The Perseids Meteor Shower occurs annually between July 17 and August 24 and tends to peak around August 9th through the 13th. TimeandDate suggests finding a secluded viewing spot away from city lights and Joshua Tree Vacation Homes, Sunnyrock Acres is just the spot! Click below to see how your dates align with the radiant and we invite you to RESERVE your private viewing accommodations with JTVH! Coinciding with a favorable New moon, a dark night sky will provide great visibility of the celestial show. Meteors increase each evening after 10:00pm, with peak viewing times an hour or two before morning twilight August 13th. Around sixty meteors per hour will be visible originating in the north-east sky, including spectacular fireballs. 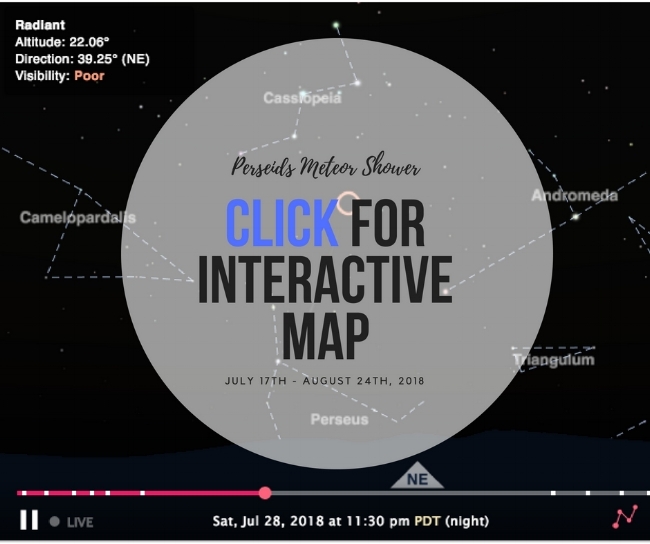 PhotoPills has a great article on how to view and photograph meteor showers along with a guide of other important dates and information. Skywatchers should also be able to see Mars and Saturn, visible until the early morning hours. Joshua Tree National Park has been designated as a Dark Sky Park or Stargazing by the International Dark-Sky Association. With proximity to larger cities such as Los Angeles and San Diego, Joshua Tree NP is regularly showcased as one of the best places in Southern California to view, photograph and experience Astronomy. The opportunity to support local non-profits in the community includes Sky's the Limit Nature and Observatory August 4th, 11th and 18th and Joshua Tree Astronomy Arts Theatre, Sunday August 12th. The showers have already started with peak viewing just a few weeks away. We welcome watchers to reserve with Joshua Tree Vacation Homes to experience this annual celestial event. Sunnyrock Acres is tucked into the rocks away from the village of Joshua Tree providing dark skies and privacy for your viewing pleasure. Sleeping up to eight guests, this is a great escape for couples, friends, and families to gather to watch the sky above. Follow us on your favorite social media platform or our BLOG for specials, events and local happenings!